When Christmas rolls around Jolly Old St. Nick is ubiquitous. Malls and movies, storybooks and songs feature a rotund ‘Claus with rosy cheeks. In our home, we do not pass on the Santa legend as fact to our children. Sadly, our kids have concluded that Santa goes to other people’s house but not ours. We don’t have a chimney. But Santa is no mere legend. His historic genesis is found in a very real saint of the Christian church: Nicholas of Myra, the Wonder Worker. Cartoonist Jay Stoeckl, author of the acclaimed graphic novel Saint Francis and Brother Duck (link to my review) returns with a new graphic novel telling St. Nicholas’s story. As with Francis’s friend the duck, Nicholas has his own animal companion. 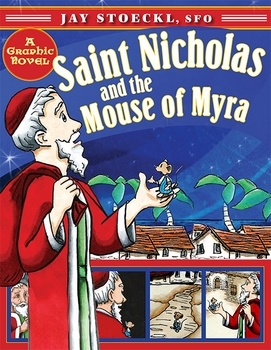 Saint Nicholas and the Mouse of Myra tells the events of Nicholas’s life through the eyes of a mouse. His name is Cicero and he is a self-proclaimed philosopher and lover of Socrates and Plato. He is out of step with Nicholas’s faith, though he is often conscripted by Nicholas as an accomplice in clandestine acts of charity. This was a fun read and a great way for people of all ages to explore the real Saint Nicholas. Cicero makes numerous comments throughout the comic which poke at Nicholas’s later association with Christmas (i.e. Reindeer, Christmas trees, gifting toys to all the children, etc). Nicholas always tells his rodent companion that he has an over-active imagination. Still Stoeckl plays with the legend. At the end of the book, we do not read of Nicholas’s death in the mid-340’s. Instead he and Cicero travel ‘North.’ This isn’t a book bent on destroying kid’s belief in Santa Claus. If anything Stoeckl gives strong hints at the Yuletide connection. 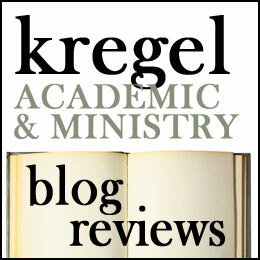 The stories and legends of the real St. Nicholas are recorded here with the skeptical Cicero’s commentary. We read of Nicholas paying the three dowries for a poor family so that the daughter’s would not be sold off as slaves. We also read of Nicholas bringing bread and coins to the poor of Myra, his confrontation with Arius and the paganism of his day, and his miracles. The mystified mouse doesn’t always know what to make of Nick, but he is won over by the saint’s care for the poor, his unwavering commitment to Christ and his deep humility. Little is known of the ‘real’ St. Nicholas. Stoeckl is retelling some of the early storieswe have about the saint. Some of the miracle stories sound more like legend than historical fact (i.e. Nicholas resting his coat on a sun beam). Other stories include Nicholas calming the sea, healing others, multiplying barrels of grain, and destroying a pagan temple through prayer. However Stoeckl does feel it necessary to explain how Nicholas could be present at the council of Nicea (325) to refute Arius, though his name does not appear on the historic list of bishops at that council (Nicholas confronts Arius with words and not with a slap or punch as is sometimes claimed).